Handmade freshwater pearl earrings with sterling silver solid nuggets and wire hooks. – the perfect gift for anyone! Availability: 5 in stock Size: N/A Categories: All Jewellery, Earrings, Wedding Jewellery, Wedding Gifts. 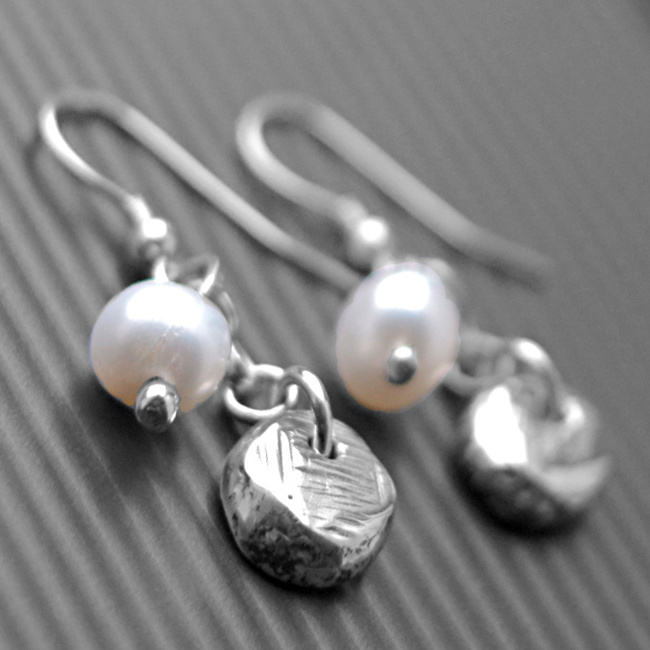 Tags: bespoke silver, freshwater pearl, handmade silver, jewellery designer, jewellery maker., liverpool, LWSilver, nugget earrings, pearl earrings, silversmith, sterling silver, uk, wirral.